I need to apologize. I have not been able to Post here nearly as often as I would like. I am just buried in work, and sadly, income still must proceed pleasure… even in Costa Rica. The main site, The Real Costa Rica, is now up to about 25,000 new visitors each month, and between that and the Guestbook, I am just getting buried in emails as well. So once again, here are some of my replies to those emails. I am doing a midterm report on your website, and was wondering if you could answer some questions (10 or so) for my report. My report is due in a few days so hopefully I hear back from you soon. I get about five of these each month. My response is always the same. Sorry kid. I had to do my own homework… now you have to do yours. It is a rule of life. You have 500 pages to work with. Go read it. Yes, I AM mean. I spent a lifetime getting to be an old curmudgeon and I am proud of it. Someone told me that Docker type shorts are unacceptable in the Central Valley.Long pants only. Good question! Shorts of any brand are perfectly OK in San Jose on the street, hotels, restaurants, etc, BUT many government ofices and ministrys do not permit the wearing of shorts in their offices, nor will the State run psyciatric hospitals (don’t ask me how I know this). Do shuttle drivers usually get tipped in Costa Rica as it is here in the US? What would be consired sufficient funds required to enter Costa Rica? Everyone expects a tip including shuttle drivers, and as for how much cash to bring, how would I know that? You can always get cash here at an ATM. Bring lots. I expect a tip too. I will be traveling to CR very soon and I would like to know if I am able to use any kind of credit card while I am there. You know like your most popular ones MC, VISA, DISCOVER, or AMERICAN EXPRESS. All but Discover. Nobody accepts that card (except for me). I have read in books on Costa Rica that children and babies drink coffee, is this true? Is it regular or decaf? How much do they drink in a day? One bottle? When I received this, my first thoughts were, “How Silly!” Then, because this IS Costa Rica, I thought maybe I’d just better ask! Glad I did! In Costa Rica, it is not uncommon to give coffee to babies (in their bottle, with milk) and to young children. I found this astonishing! Having had the “pleasure” of the company of various two year olds at times in my life, I simply can not imagine a two year old on espresso! Good question! When traveling here, be cautious. Crime is VERY comon, especially in San Jose and more especially, at night. Take taxis and don’t be out on the streets after dark in the city. In beach areas, it is the same. Travel together in groups. Do not carry valuables… and most of this is already covered in The Real Costa Rica as is cultural stuff. Did you read it? Generally not… and definitely not without a ton of paperwork from both your country and Costa Rica. Also, not sure why you would want to? Brings to mind the old saying about bringing coal to Newcastle. We actually love the accomodation and ease of living in a yurt. Do you know of any reason we would not be allowed to purchase land and put a yurt up, rather than build a house. Seriously, for those of you great unwashed who know not what is a yurt, I have provided a couple of photos. Yurts, among the oldest indigenous shelter designs, were originally conceived by nomadic Mongolians, whose Shamanist beliefs dictated the round shape that connects North and South, West and East. The original ones did not have windows (not a good idea in Costa Rica), but the modern ones do and even have doors! Not sure about plumbing though… and if they do, you can sorta kiss off the privacy thing. Everthing and everyone is sort of “out there”. I think though, you have to revert to the days of the privy! This might be ideal though for you aging hippie boomers who missed the communal thing… but I digress. As there are few if any zoning laws in Costa Rica, and the few that exist are seldom enforced, I am guessing a yurt would not be a problem at all! Considering that many dwellings, especially in the country are little more than shacks, a yurt would seem to be a fine upgrade to the general vistas. Another good thing is that you can place the bars on the inside! So come on down and build your yurt. You can commune! 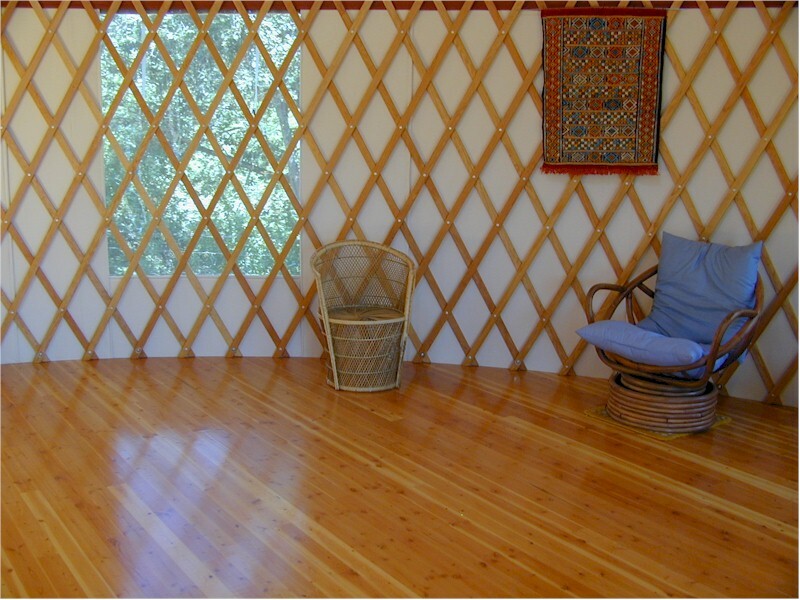 Why you could practice yoga in your yurt! (neat alliteration huh??) I wanna see it when you’re done! LOL! Thanks for answering our yurt question. We’re just two of the thousands who have only done our “paper and book” research on Costa Rica, but will be making our first trip down this winter (first of many, I hope). Why, yes, we are aging hippies, how did you guess? I felt I should ask because I was reading about some pretty strict building permit requirements, etc. for traditional houses and it got us to wondering just how strict they would be about the type of abode. Well am I not 100% sure, but I doubt you’ll have a problem… except in a city of course. Out in the boonies, I doubt anyone will care. Any other Yurtees out there? I am 24 and my father used to give me coffee on a daily basis (with milk of course). He made a “banderita” (little flag) with my bottle: milk, coffee and milk and coffee displaying the different colors. I loved it. And well… I turned out pretty normal. I still drink coffee though. Everyday. I am glad to hear that other people are interested in putting up a Yurt in Costa Rica. I bought a piece of land last year and I have been doing some research and I think it is a great idea. If any one knows where to buy one in Costa Rica let me know. I would also like to see one there as well when I come in Feb this year. I am interested in learning more about using Costa Rica’s native materials to build a yurt-like structure rather than importing a ready made one from the U.S. I think you can order a yurt from a variety of places and have it shipped to you in Costa Rica. 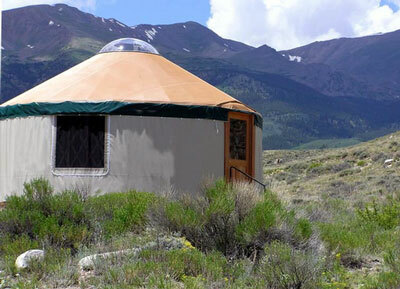 I own 14 acres near Satrillos in the Aserri area and a Yurt (in its original form) was suggested. I was concerned that the covering would disintergrate, but now that I’ve seen the pics, I”ll revisit the idea. John -did you ever build your yurt? Do you have photos?